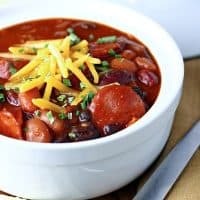 BARBECUE SMOKED SAUSAGE CHILI — This smoky barbecue chili features smoked sausage and three kinds of beans for a hearty, heartwarming meal. 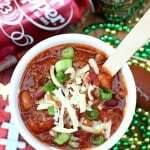 If you’re looking for a hearty, crowd-pleasing chili to serve on game day, then this Barbecue Smoked Sausage Chili is the recipe for you! Imagine a cross between your favorite baked beans and your favorite chili. That’s the best way I can think of to describe this recipe, and yes, it’s as delicious as it sounds! I love my chili loaded with beans and meat. The rest of my family, not so much. They just don’t care for beans all that much. But I was hoping the smoky barbecue flavor and smoked sausage in this chili would win them over. And it did! 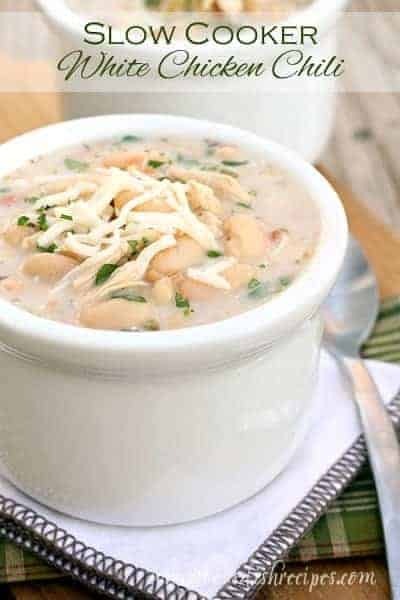 I served this with rice, so that my husband and kids could dilute the beans if they wanted to. I ate mine as is–just beans and sausage. Both ways were delicious! I recommend tossing in your favorite chili toppings. We like shredded cheese, crackers, and chopped green onions. I love that this chili simmers all day in the slow cooker. It’s so easy to throw together, and I love having a hot meal ready when everyone gets home at the end of the day. I used pinto, kidney and black beans in this recipe, but you can substitute any variety to suit your tastes, or use up what you have on hand. Feel free to leave the seeds in your jalapenos, or adjust the amount of cayenne pepper if you like a super spicy chili. We like a little heat, so this was just perfect for us. 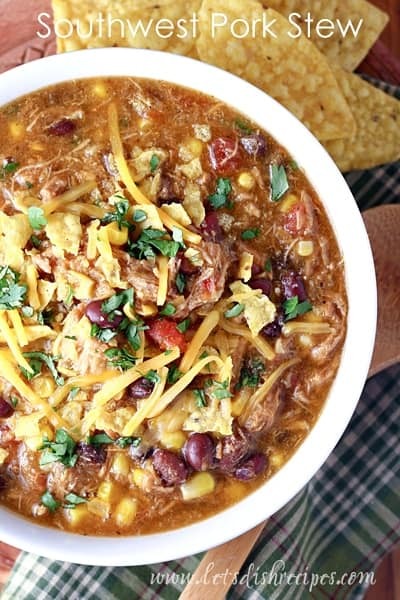 With a side of cornbread, this chili is my idea of perfect comfort food. 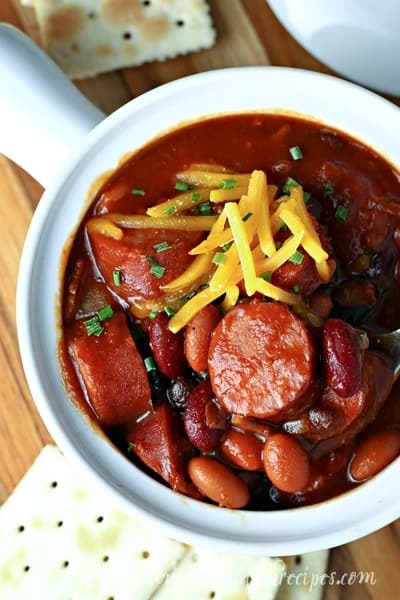 The smoked sausage is a delicious twist that turns your average pot of chili into something extra special. This makes enough to serve a crowd, or to enjoy as leftovers the next day. 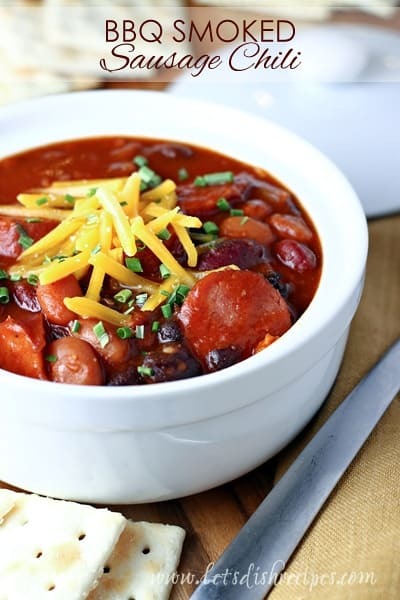 Be sure to save this Barbecue Smoked Sausage Chili recipe to your favorite Pinterest board for later. Combine all of the ingredients in a large, lightly greased slow cooker. Stir to mix well. Serve with shredded cheese and chopped green onions, for garnish, if desired.